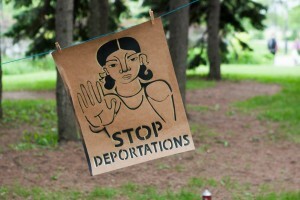 Deportations are a form of institutional racism, manifested in the violent and coercive practices of the state against predominantly racialised migrants who have been forced to leave their homes because of wars and military violence, poverty, political oppression, extractivism, climate change, etc. – conditions that are the direct result of instability created by neo-colonial foreign policies in the economic interest of Canadian and other wealthy-country corporations. We denounce this practice of systemic racism, and call for an immediate end to both deportations and the racist scapegoating of refugees. The recent arrival of refugees fleeing the United States of America due to the Trump administration’s attacks on programs such as “Deferred Action for Childhood Arrivals (aka the “Dreamers” program) and Temporary Protected Status and also increasing pressure on undocumented migrants in the form of ICE raids has become a topic of interest within the Canadian political sphere. The mainstream media often portrays this as a “refugee crisis”, when it is in fact the direct result of a racist US administration, and the complicity of the Canadian state via the STCA (Safe Third Country Agreement) under the false assertion that the US is a safe haven for refugees. In fact, many refugees and migrants are under direct attack from both the state as well as extreme right and white nationalist groups. 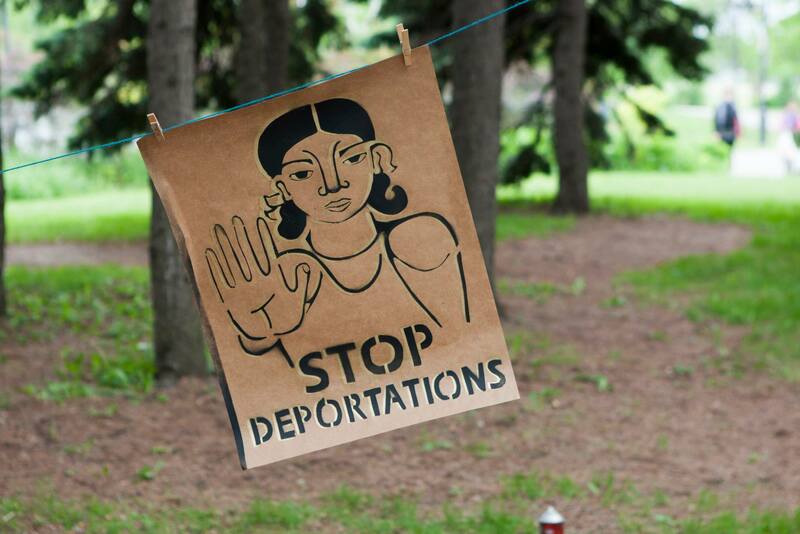 Join us in an End Deportations Bloc during the Large Demonstration Against Racism on October 7th ( Grande manifestation contre le racisme – 7 octobre 2018), to highlight the experiences and demands of refugees and migrants, and to call for an end to all deportations and forms of detentions, as well as an end to the unjust system of “double punishment”. We want Status For All and are calling on Montrealers to build a Solidarity City together.